Photography by Jan Inge Larsen, Svein Arne Brygfjeld, Tommy Eliassen and Einar Alsaksen. There are many DNT (Norwegian Trekking Association) lodging facilities throughout the Norwegian landscape, made for tourists, families and school classes to visit when they go trekking. The Rabot Tourist Cabin is one of them. 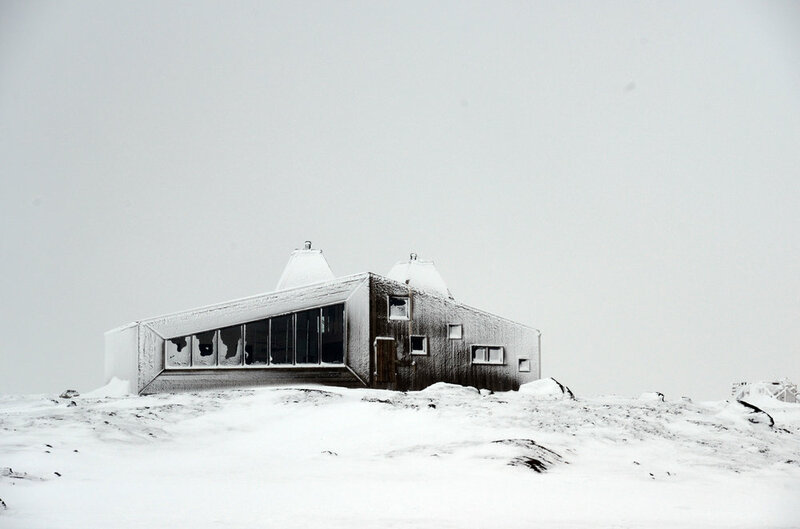 Located at 1200 meters above sea level, close to the glacier at Okstinanden in Northern Norway, the structure is constructed for heavy winds and storm, since the weather can be extremely harsh up there. So much that a secondary rescue hut is placed 50 meters away from the main cabin as a safe shelter, in case of destruction of the main cabin. The site is inaccessible by road and is only reachable on foot or on skis. 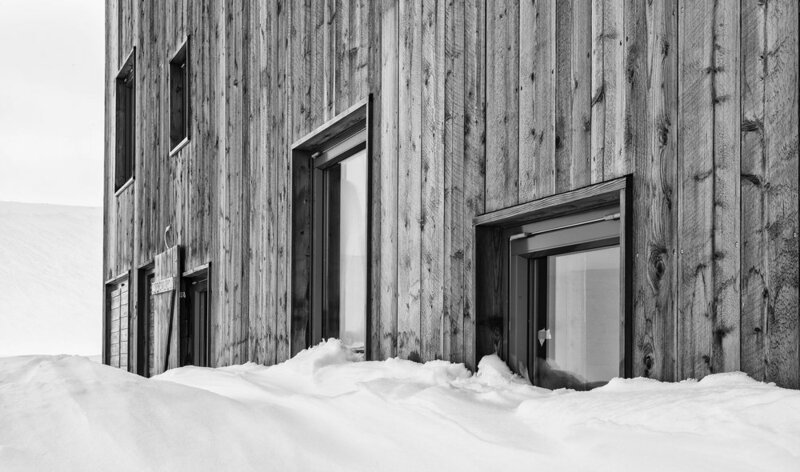 The behavior of snow and heavy winds at the site was the insight for the simple shape of the cabin, without protruding elements. The shape of its two chimneys mimic the topography of the mountaint tops and act as protecting structures to avoid the use of tension cables. There are around 30 beds dividied between the seven bedrooms. The two entrances, placed on two opposite sides, have practical functions with restroom, firewood- and food storage. The exterior cladding consists of locally cut, thick timber boards with a coarse finish and is treated with ferric sulphate for a grey, natural feel. The colour scheme of the interior is dimmed while visitors themselves will add various colours with their clothes and gear. It was Jarmund/Vigsnæs AS Architects MNAL who planned and built the cabin with local materials, values and commitments, and named it after the French glaciologist and geographer Charles Rabot, who explored the mountain areas in the province of Nordland in the early 1900s.